Hard to believe we are already five days into the new year! But, in our house we have kicked into gear of making sure we finish all our 2013 projects before the end of 2014. But, no worries I finally got everything accomplished I wanted to in 2013 last night! Time for a happy dance! Before moving on to 2014, I definitely want to share my Top 3 blog posts of 2013. I never, ever look to see until the very end of the year. It’s actually kind of a fun little ending to my year. 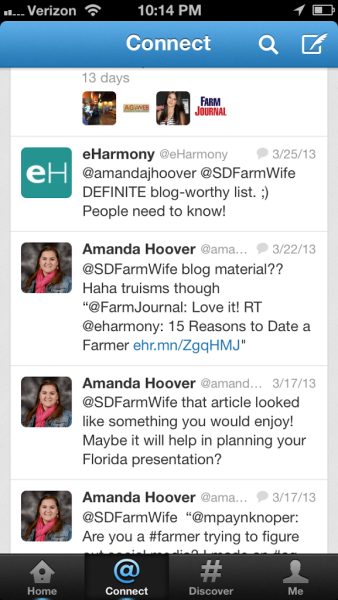 15 Reasons To Date A Farmer: Highlights my friend, @amandajhoover, and I’s Twitter chat with eHarmony! 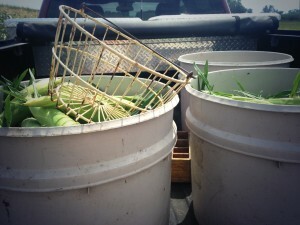 Freezing Sweet Corn: This one also seemed to be a Pinterest favorite. If you haven’t pinned it for next year’s season make sure you do- you will not regret it when you are enjoying a freezer full of sweet corn next winter! Yum! 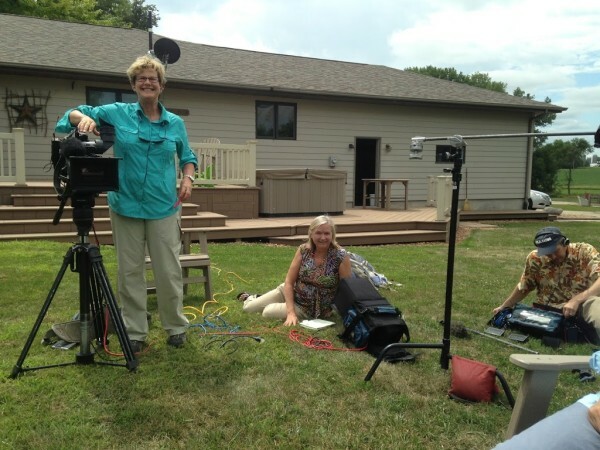 Our Surprise: My husband and I had a really awesome time with a crew from the Today Show. It still dumbfounds me a little to think we were on national television talking about how we met on FarmersOnly! It was a really cool experience and they were a great group of people to work with! I love taking a little bit of time to reflect on what came to my blog in 2013. I continue to grow every year in numbers, in followers, but most importantly in relationships. 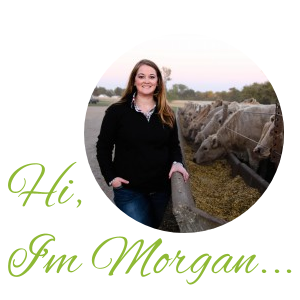 I love having conversations about farming and food with all the wonderful people who contact me. Keep it up, I love hearing from you! Sweet corn…yum! We have a whole freezer full. Farmers Only – I searched on that site for quite sometime with no luck. Funny thing is…I dated someone from there and and it was fun. First date to the Indiana State Fair. Two weekends later my friend set me up with the love of my life…who has never even heard of Farmer’s Only. Weirdest part is…the guy from Farmer’s Only and my guy were actually friends. Small world! Isn’t it crazy how life works out?! Love your blog- and love your new tattoo, although I don’t envy the pain it must have put you through! Thanks for stopping by!